weaknesses in our pursuit of personal development? Strengthsfinder 2.0 challenges us to flip conventional wisdom on its head by ignoring our weaknesses and concentrating on our strengths. 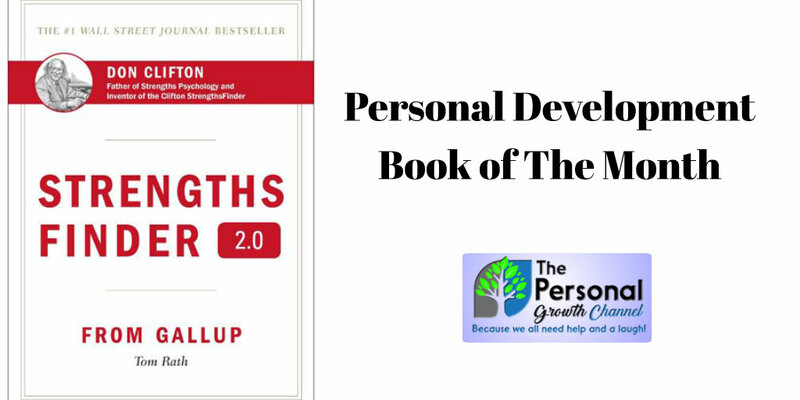 Discover your strengths by joining me this month in reading our personal development book of the month, Strengthsfinder 2.0. Sign up for a membership by clicking here and discuss it with the group during our next live webinar! Click here to order this from our affiliate partner, Amazon, to send a few pennies our way and support our personal development community! Like the book? Be sure to check out Tom Rath's course "Learn to Fully Charge Your Work & Life" on Udemy by clicking here!